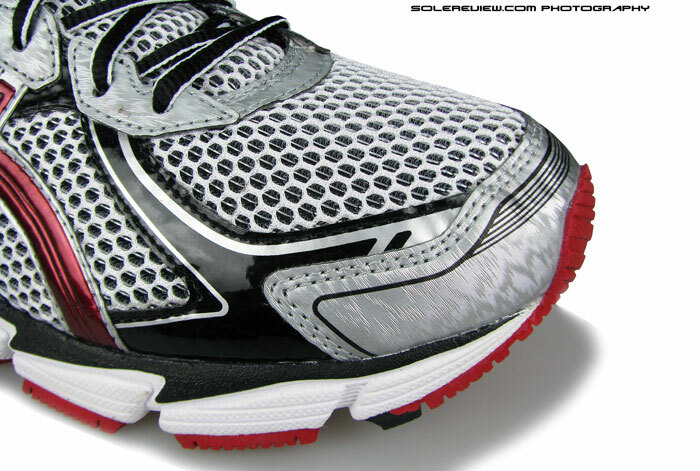 Upper: Spacer mesh, synthetic leather, welded overlays. Midsole: Dual-density foam with firmer (integrated) medial post. Outsole: Carbon rubber pieces under heel, blown rubber in forefoot. The GT 1000-2 rides firmer than the $20 more expensive GT 2000-2, which might be an advantage or disadvantage, depending on what does you good. Else, spend that extra twenty and get the GT 2000-2 which uses far better materials. 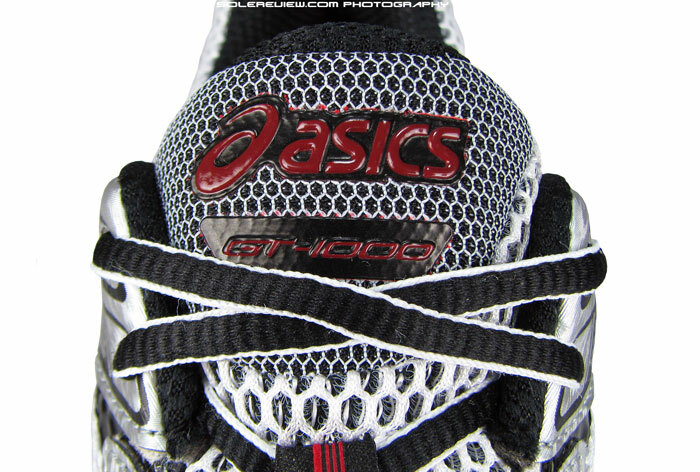 The realization is gradually dawning on us that Asics’ offering of running shoes is a little confusing to buyers. Segmentation is blurred by use of common materials, technologies and aesthetics. 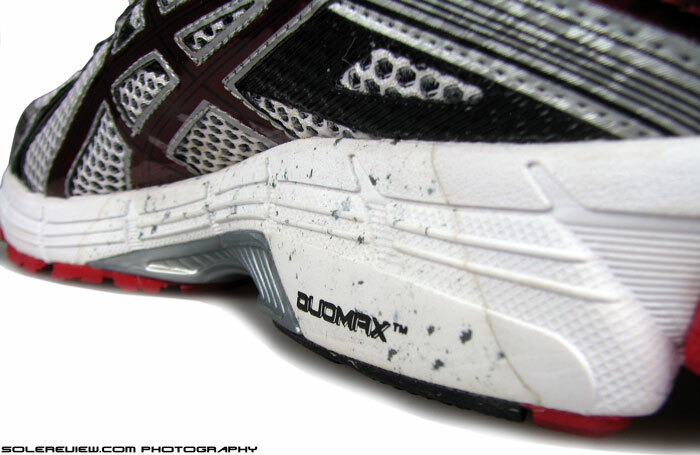 What is the difference between, say a $135 Gel Surveyor 2 and a $160 Kayano 20? Or what do you get by paying $5 more on a pair of Nimbus 16 over the Gel Evate? These questions are answered only when you’ve had to chance to log miles on the shoes. But isn’t that the point, unless you’re a modern day Nostradamus, how do you know that by just poring over the pictures and description on their website? Frankly, we think that Asics has just too many shoes, their design language is bewitchingly similar across models and differentiation is bit of a struggle, to put it mildly. With a wide spread assortment, mediocrity often gets mixed up with excellence, at times the former casting a shadow over the latter. Selling running shoes isn’t the same as selling 31 flavours of Baskin Robbins ice-cream. Hey, at least at Baskins, you can try a mini-sample of all flavors before deciding which double-scoop to finally buy. Perhaps Asics can learn a thing or two from Mizuno, another Japanese competitor. Tightly knit assortment of shoes, with many of the models beginning to have a strong following. And if you’ve been reading our reviews for a while, you’ll also know that having too many models, each featuring different outsole/midsole molds leads to decreased cost efficiencies. Ultimately, that is passed down to the people who buy the shoes. We did a small chart in our Free 4.0 Flyknit write-up comparing manufacturing costs across different brands (Asics included), which supports our statement. So in the larger scheme of things, where does the GT 1000-2 fit in? The best way to look at it is from a vertical hierarchy perspective, that of Kayano 20/GT 3000/GT 2000/GT 1000. These shoes reside in the brand’s ‘structured cushioning’ category, which in short translates into a line of running shoes with motion control features. 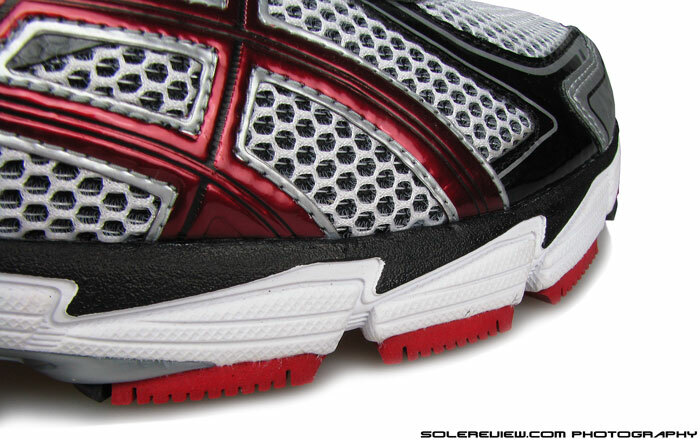 Or specifically speaking, soles constructed using dual-density foam and Gel cushioning units. 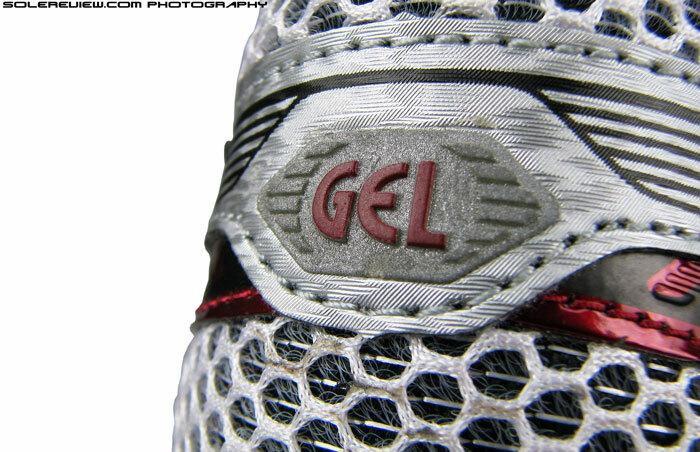 Asics attempts to differentiate these shoes by varying the amount of Gel used in the midsole or adjusting the plushness levels of upper materials. Sometimes, this strategy bears result, with runners noticing a marked difference in fit and ride behavior. The opposite is also true too, with differentiation not making itself clear enough. For example, is it worth selling both GT 3000 and 2000 separated by just a $10 bill? That topic is certainly debatable. 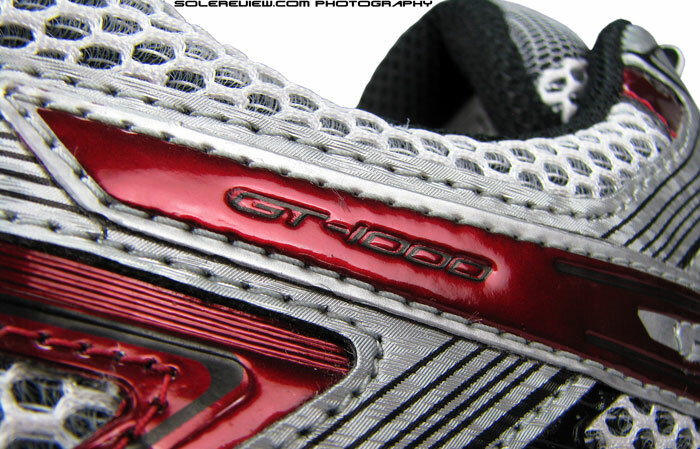 The GT 1000-2 is the entry level shoe within the present day GT series. But calling it entry level is relative, since the $100 price tag makes it anything but. It is the successor to last year’s GT 1000, which in turn was the replacement of sorts for the GT 1170 – the long time sidekick of the venerable GT 2170. With that family tree in picture, the GT 1000-2 is an evolution of the GT 1170, with a less sharper sense of purpose. 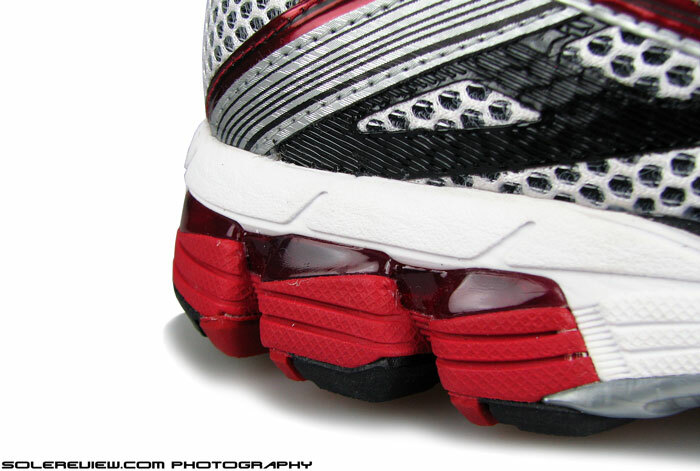 Targeting runners who wanted a slightly firm ride, the 1170 had a prominent piece of harder density foam arch-side, placed with the goal of minimizing foot-roll. The 1170’s medial post had a noticeable flare, whereas the GT 1000-2 tones it down a few notches, making it more ’neutral’ in industry lexicon. 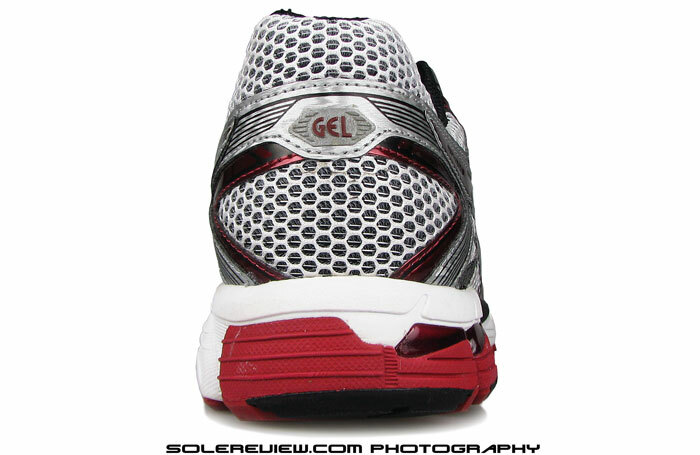 As a standalone shoe, the GT 1000-2 isn’t particularly impressive. There are a few things which we don’t like – mostly to do with material quality; and its larger merits are purely subjective, depending on what you’re looking for. To kick off with the things we don’t like, the materials used on upper markedly feels like entry level. Though the price difference between GT 2000 and 1000 is a mere $20, the gap in actual quality of components used feels a lot more. 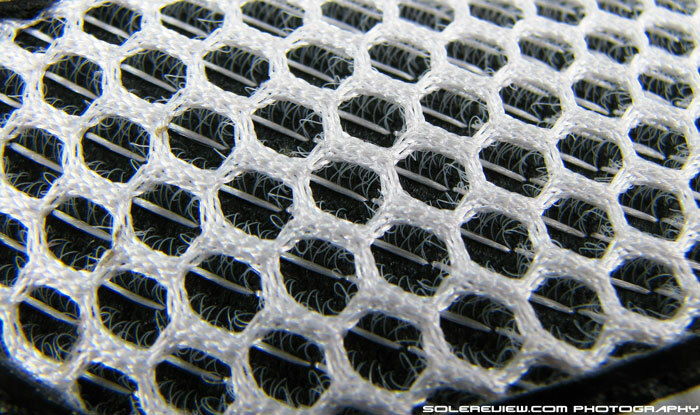 In pictures, the spacer mesh looks similar to the 2000, but in reality the hand-feel is much coarser. Run your fingernails over the mesh, and that is rewarded by a faint rasping sound. Needless to say, the interior lining matches the properties of upper layer, the only saving grace being the finer mesh surface inside. Synthetic leather and welded overlays are of a thin type, with budget lacing and at par collar lining mesh. 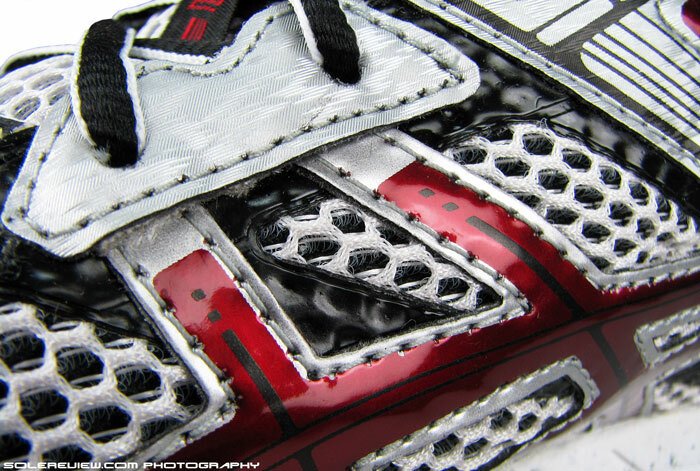 Reflectivity comes in form of a blink-and-miss-it hexagon on the heel. Not sure if this was only in our pair, but the shoe upper stinks. Quite literally so, with an unpleasant chemical odor reminding us of the Mizuno Wave Prophecy. The whole GT upper looks built to a cost; if you take off the upper logo and replace the midsole with plain Vanilla EVA, it won’t look out of place in Walmart or Ross. No offence to these retailers, because shoes sold there are of a certain price band, and often offer exceptional value for the purchase price. Like a $15 Starters running shoe; a steep feat to top something like that for value. 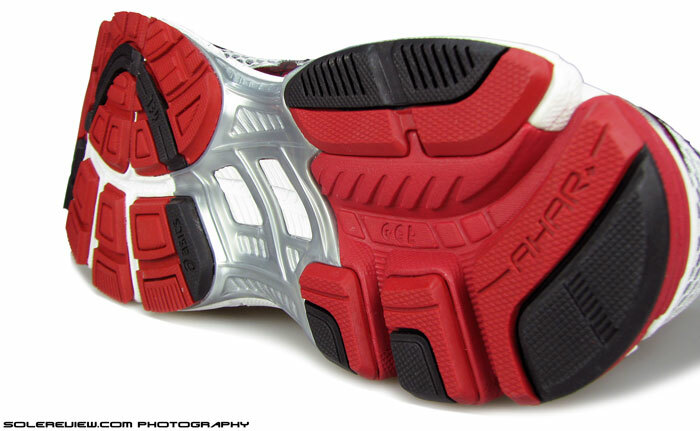 In terms of upper materials, the GT 1000-2 feels like a $50 shoe, but it isn’t. Other $100 models from brands show how’s it done; the Saucony Kinvara 5 and Nike Pegasus 31 to name a few. But as the saying goes, beauty is skin deep, and the adage rings true for the GT 1000-2. Thankfully, use of less premium material doesn’t necessarily translate into inferior fit. It isn’t plush in feel and all that, but gets the job done.The fit quality belies the level of materials used, with just right snugness all around. 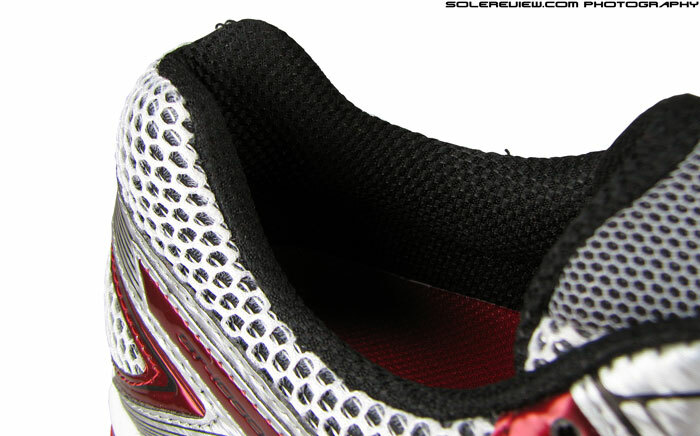 Front’s got bit of room for the forefoot to splay, with the latter’s widest points covered by mesh overlays. 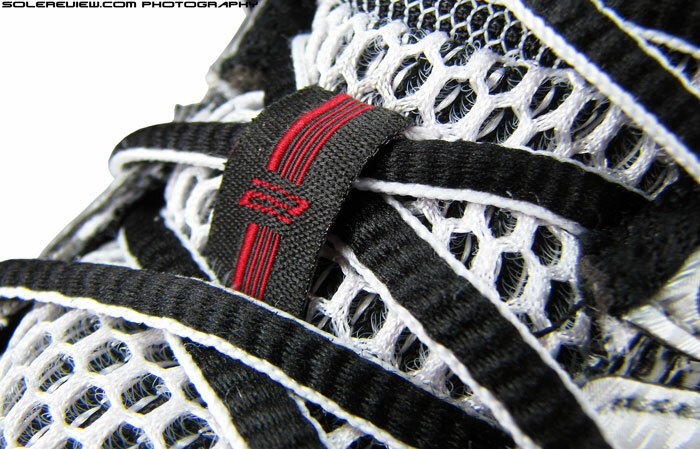 Space on top of forefoot is snug, with the mesh pressing down without any slack. 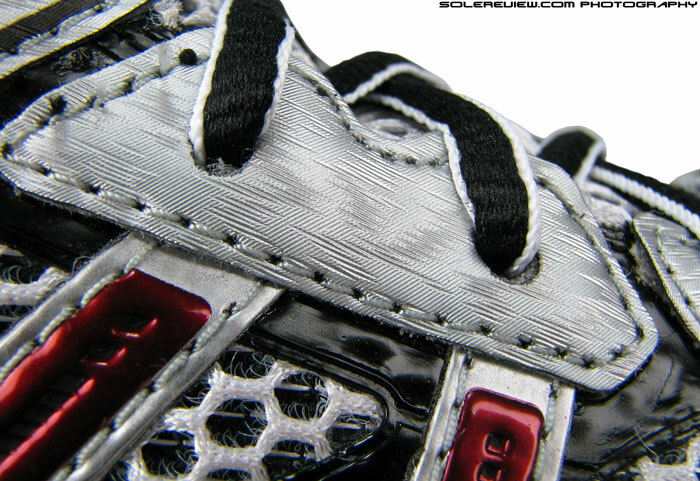 Top down pressure is filtered through the padded tongue, the grip spread over by wide lacing. Collar wrap isn’t bad at all, with foam padded lining securing the ankles. 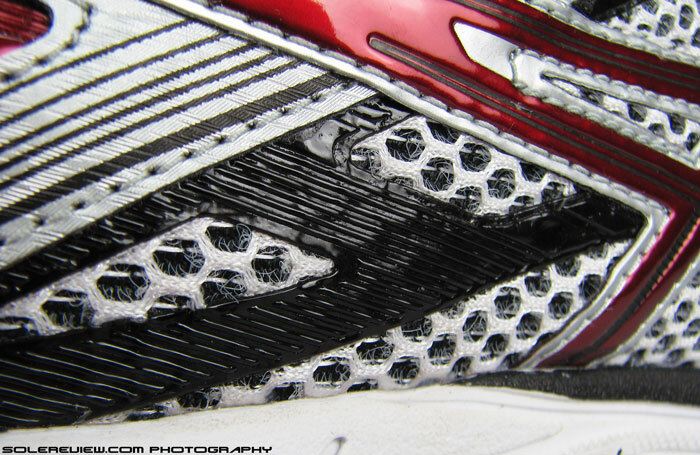 The Achilles notch at the back is devoid of any synthetic overlays, reducing chances of rubbing. Sizing is true, with only a small margin beyond the big toe. The coarseness of the mesh turns out to an advantage when it comes to keeping the tongue in place. We noticed the absence of tongue slide on the GT 1000-2, notwithstanding its traditional construction – by which we mean the tongue isn’t anchored to the sides. 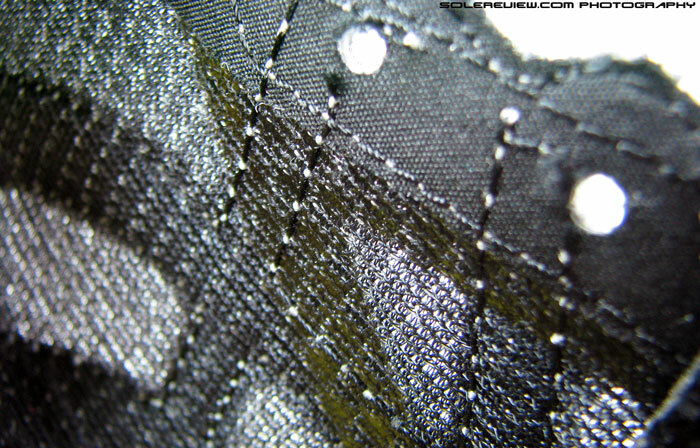 It is likely that the texture of mesh coupled with the hard laces results in increased friction, thus keeping things from swimming around. Compare this shoe to the GT 2000-2 and upwards (Kayano), and the ride feels as if you’ve checked out of a plush hotel room and moved your bags into a monastery. Which is by no means a lesser thing, you just have to look at it from your perspective – and decide if that’s a merit or not. If you ask us, we like the way the GT 1000-2 rides. It’s much firmer than the GT 2000-2, and delivers a padded flow over roads with none of the stand-out softness. Kind of a sweet spot between soft and firm, which will appeal to runners looking for that old-school running shoe feel. The heel crash pad sits removed from the rest of the midsole by grooves, so a greater level of cushioning feel will be experienced by heel strikers and over-striders. Though the midsole has rear (small, visible unit) and embedded forefoot Gel pads, the firmness actually comes from three things. The volume decrease of Gel pads is one apparent reason, and the second would be the lack of the ‘Fluidride’ liner which you might have seen or experienced in GT 2000 and the Kayano. There’s a heel crash pad on the GT 1000-2, but the rest of midsole is a solid chunk of foam, with the harder density wedge molded into the inner side. And lastly, and not the most obvious, is the use of el cheapo footbed used inside. The GT 1000 has a sockliner which is constructed using thin, molded compression EVA. It’s quite ok, the bottom has some fancy textures and all that, but cushioning pales in comparison to the ones used in GT 2000 – those were 25-30% thicker with memory foam type material. The EVA strobel below the footbed is the same found in GT-2000. 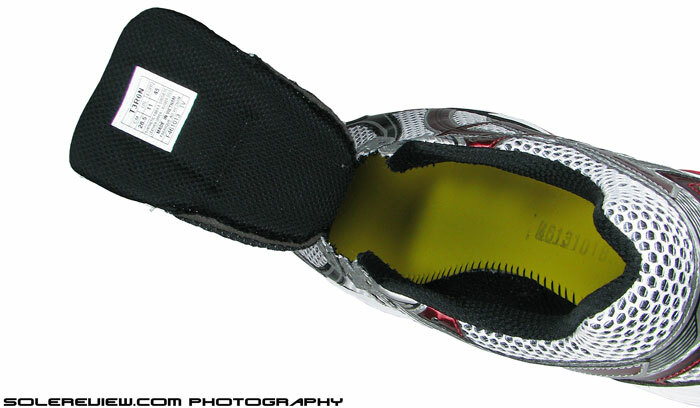 Adds a layer of foam padding to the midsole set-up, and also helps consistency of ride. Outsole rubber material is the same as the kind used in more expensive GT series, so durability isn’t something you should worry about. 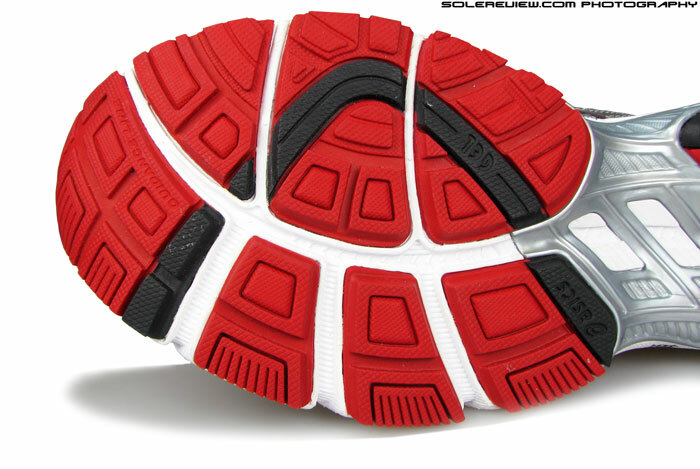 Outsole rubber texture and placement is relatively flat in the front, so there’s good traction. Deep flex grooves adorn the rear-foot, so expect this area to trap loose debris if you’re going slightly off the paved path. The bottom-line: If you’re not a fan of the firm ride, then it isn’t a GT 2000-2 baiter, even by a long shot. Actually, it is the other way around, with the GT 2K feeling far superior for just a twenty more. Some people might say that $100 is a bargain; it isn’t when you look around and see similarly priced shoes with a greater level of goodness.